I am SO excited to share today’s post with you!! One of the questions I have been getting a lot via email lately is what to wear during “seasonal transitions”. It’s tough to transition your wardrobe from summer to fall; and coming up with outfits for September can be difficult. 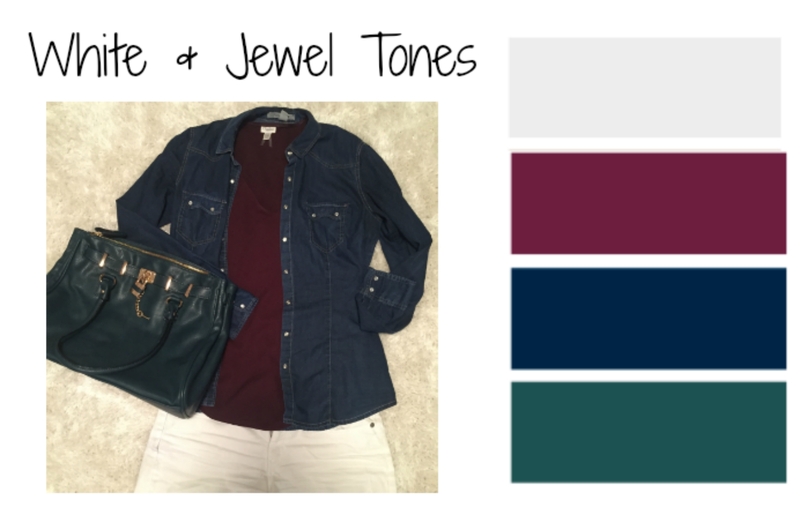 So, for today’s post I am showing you my top 4 color combinations to transition your outfits from summer to fall! 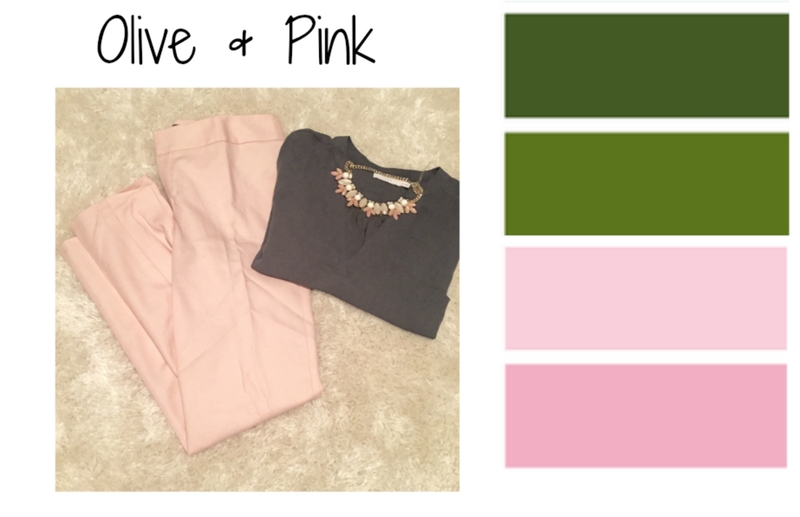 Olive is always a big colour for fall, but to make it a bit more fitted to this late summer weather try pairing it with pink! Here I’ve pictured one of my favourite outfits with olive & pale pink, but, olive also pairs well with rich dark pink- so give that a try as well. I have been wearing yellow a lot this summer (as you probably noticed in my posts here and here). It is one of my favorite colors during the summer, but, I also really like it transitioning into the fall paired with shades of grey or even navy. The above picture is from an older post (you can see the full post here) but it is an outfit I repeat season to season. 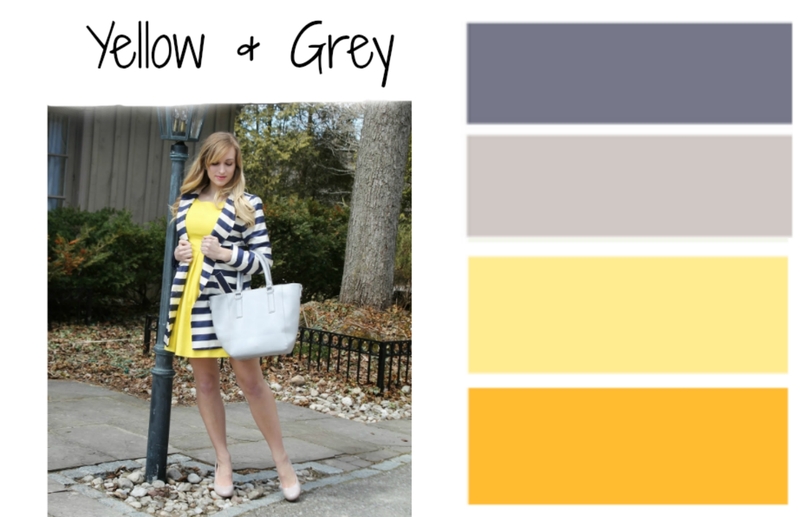 The grey tones are a perfect compliment to sunny yellow. One of the easiest ways to keep wearing all your summer whites into September is to pair them with jewel tones. White denim with emerald, wine or navy looks stunning! I think a combination of multiple jewel tones (like in this outfit) really makes an outfit with white look like it was made for fall. Love the mix of colors!! and cute outfit!! Thank you so much Pau! Hope you are having a great long weekend! Loving all of these color combos! They work so perfectly for the transition season. Aw thank you Amanda, I'm so glad you like them!! 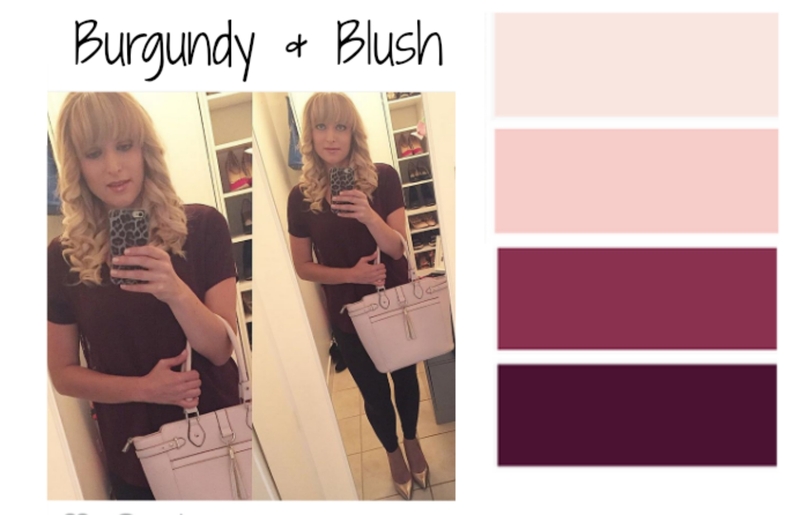 Loving burgundy and blush together! Thanks Amy! Definitely one of my favourite color combos! Loving your summer to fall transition. Love the stripes and the Yellow look! Thanks so much Lauryn! It was my first time doing it – but I definitely think I'll do that for a post once each season, cause it is a great way to get some outfit inspiration really quickly! Thanks for stopping by, I will totally come by your linkup!